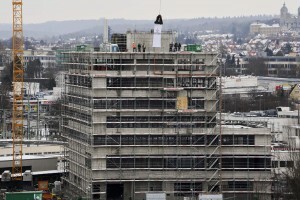 Following 16 months of construction, the first phase of a modern, multi-functional building at Vetter’s Ravensburg Schuetzenstrasse site has been completed. 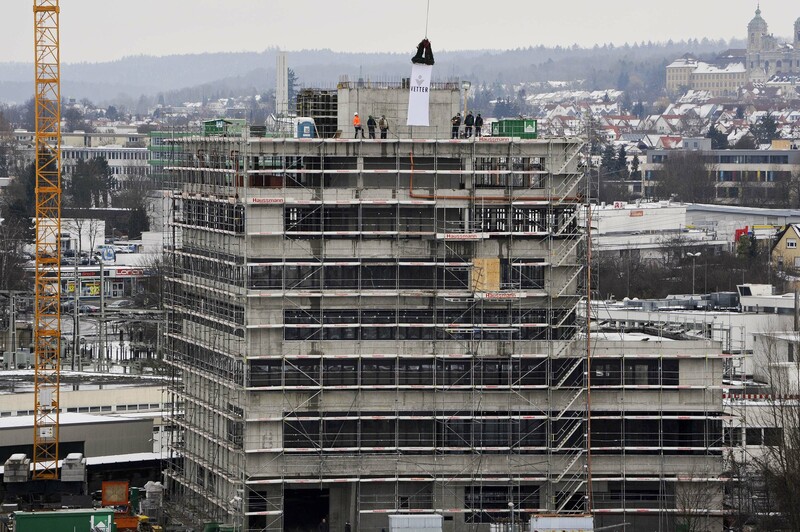 Estimated to be fully operational by the beginning of 2016, the new facility will contain high-tech laboratories and workplaces for Vetter Development Service, as well as a highly secure data center and additional office space for a total area of 8,500 sqm. The 26 million Euro investment is a direct result of increased demand by customers for support in drug development, as well as the need for enhanced company-wide IT systems to meet future requirements already being seen today. Through facilities located in Chicago, USA, and Ravensburg, Germany, Vetter Development Service offers its customers support in all phases of clinical drug development, including pharmaceutical analysis, process development, and clinical trial supply. Due to increased demand by customers for these services over the past several years, the company has made the commitment to invest in a new building at its Schuetzenstrasse facility. The six-story building will contain laboratory space for performing microbiological analysis, and will also have sufficient spare capacity to meet future growth needs such as additional cleanrooms and labs. The multi-functional building is also an investment in future-oriented IT systems which help Vetter meet the ever-increasing quality and security needs of customers and regulatory authorities alike. For example the new data center will have enhanced security systems and a safety cell that protects technology and data from external physical hazards, as well as a state-of-the-art gas extinguishing system to minimize damage in the event of an emergency.